With their unique once-per-turn activated abilities, planeswalkers took the Magic: The Gathering community by storm upon their debut. They can gain or spend loyalty counters to apply one of three or so unique effects. Since planeswalkers themselves are quite formidable, they don't possess as many direct support cards as you may think, but crafty players know a lurking planeswalker combo when they see it. To help you fortify your own spellcasters, let's countdown ten cards that blend brilliantly with almost any planeswalker! 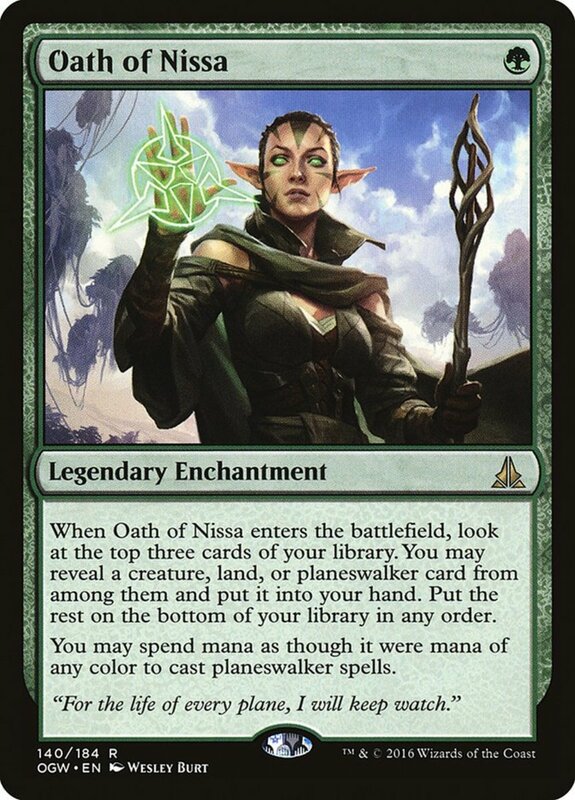 Nissa enjoys a plethora of planeswalker representations, but her oath will benefit any ethereal entity. For a negligible cost, you get to examine the top three cards of your deck and add a land, creature, or planeswalker to your hand, placing the unchosen cards on the bottom of your deck. Then, as long as Oath remains active, you can spend mana as though it were a different color when casting planeswalker spells! 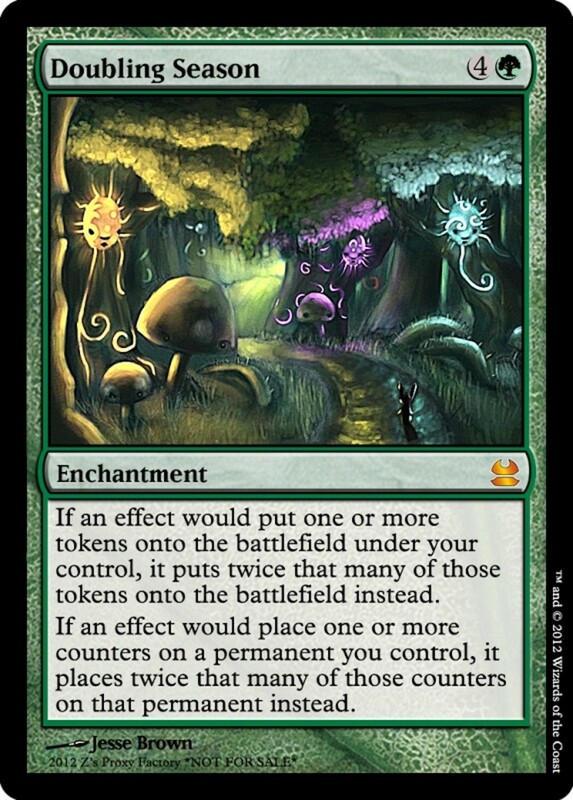 I appreciate that this card offers both immediate and long-term benefits, and it functions particularly well in builds employing several colors, mitigating your odds of drawing the wrong land type. White-dedicated Djeru (gesundheit) demands more mana than our previous entry, but he also provides both an immediate and an ongoing benefit. Upon his arrival, you get to search your deck for any planeswalker and add it to your hand. 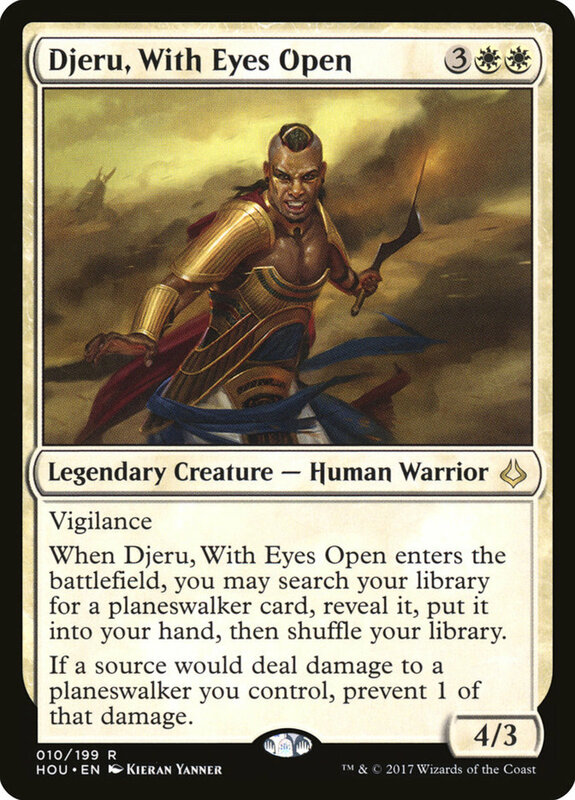 Then, as long as Djeru remains alive, any damage your planeswalkers would suffer is reduced by one, keeping your crucial trump cards alive. Finally, he has decent power and toughness plus vigilance, which lets him attack without tapping. This is a sweet card hampered only by its somewhat-situational traits. 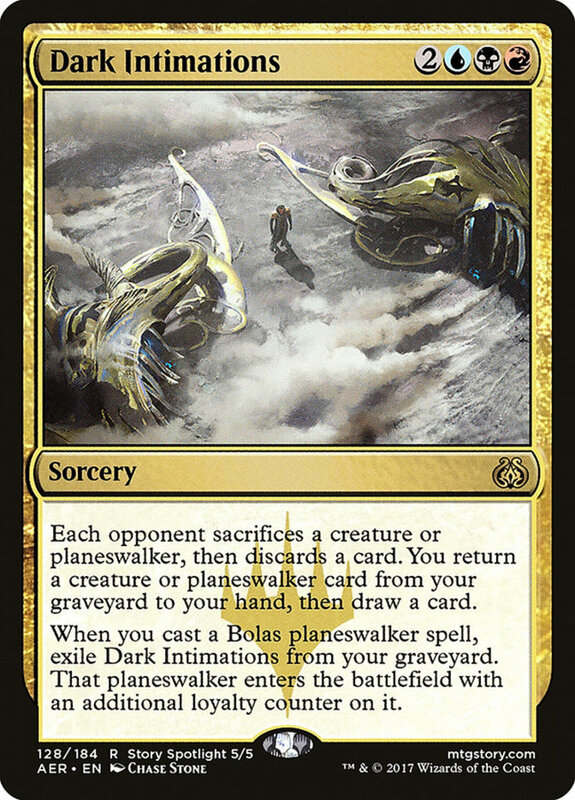 You need at least one blue, red, and black mana to access it, and its second effect only activates with Bolas planeswalkers (who luckily require the same trio of colors). Still, check out the mighty effects: Your opponent must sacrifice a creature or planeswalker as well as discard a card; you get to add a creature or planeswalker from your graveyard to hand as well as draw a card. 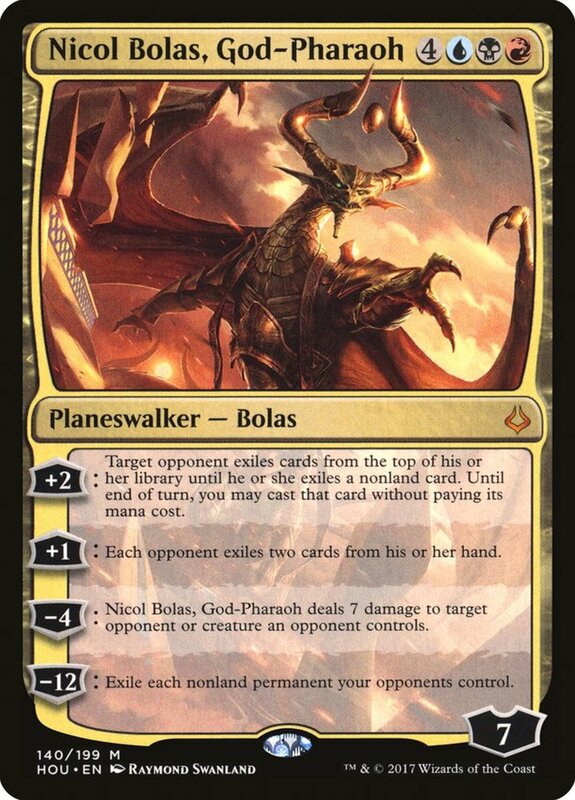 Later, if you summon a Bolas planeswalker, Intimations will exile itself from your graveyard, and your Bolas will join the fray with an additional loyalty counter. Card-specific? Admittedly, yes. Effective? Definitely. Dark Intimations harasses foes while gaining you card advantage and buffing your planeswalkers at a very reasonable price. 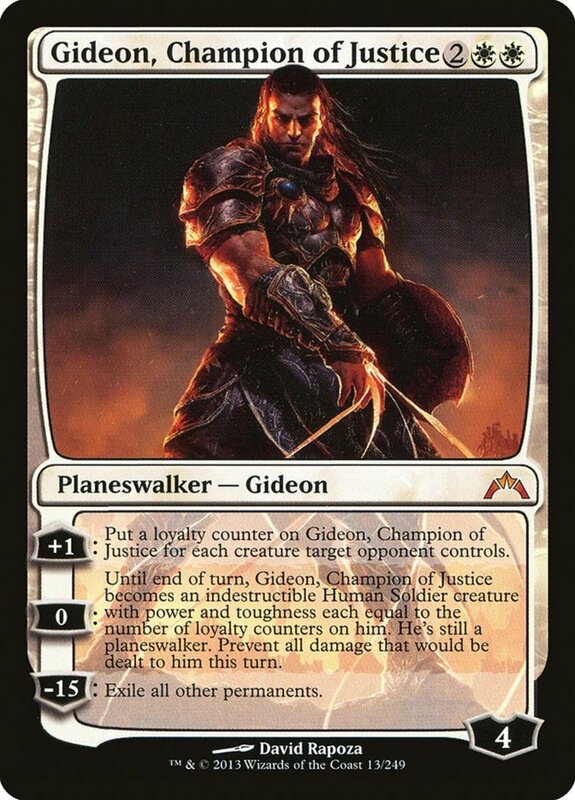 Like Nissa before him, Gideon's oath implements an immediate and continuous effect, this time at an expense of three mana. When played, you gain two 1/1 Kor Ally tokens. They're weak, sure, but they come in a pair, can block hits, and their Ally subtype combos well with certain builds. 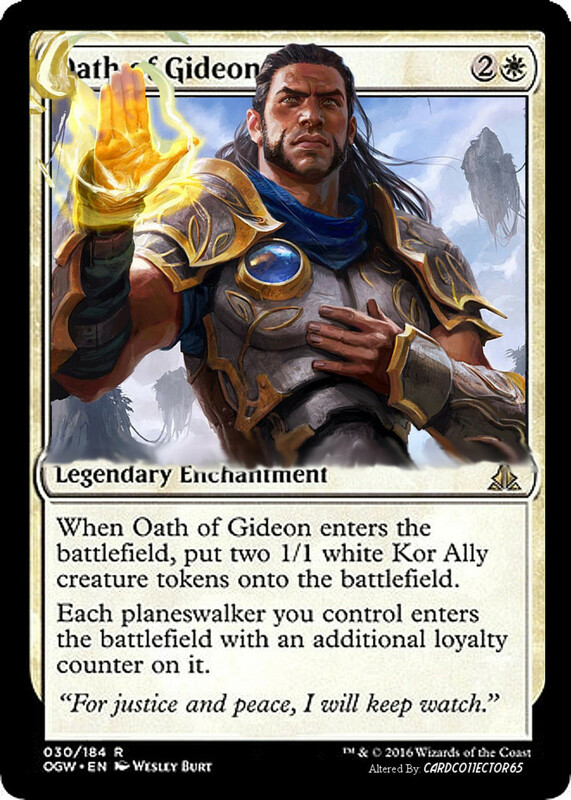 Beyond that, Oath of Gideon gives your incoming planeswalkers an extra loyalty counter, hastening your ability to use their ultimate effects. A great comeback spell, cast this card when your opponent attacks you and your planeswalkers with several creatures. You'll reflect their assault back by using Comeuppance's effect to ignore your damage while simultaneously causing opposing monsters to suffer what they would have dealt! Plus, non-creatures who would have injured you simply have their damage reflected against the life value of your rival. 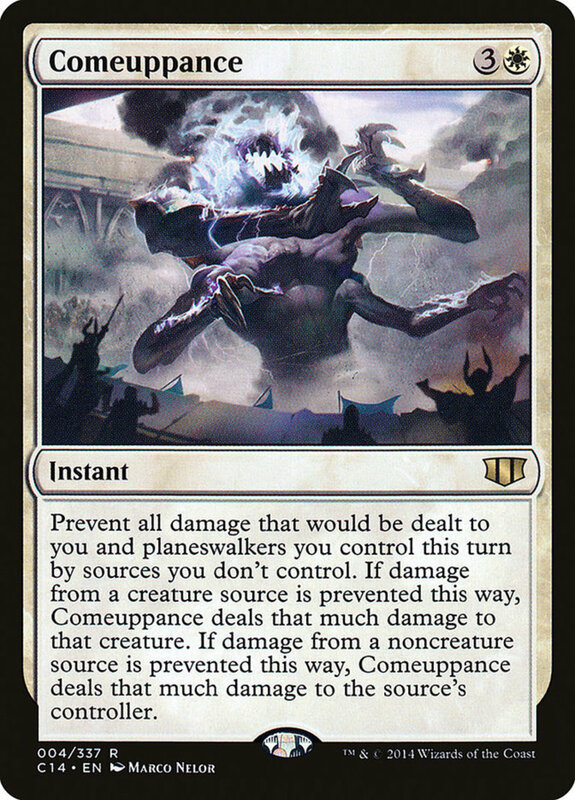 A card that defends yourself and your planeswalkers, Comeuppance provides a wonderful fail-safe if things go amiss. Yet another white spell, Gatewatch offers a simple but effective planeswalker swarm. If you can muster together six mana, you'll be able to skim the top seven cards of your deck, select up to two planeswalkers, and place them on the field! Not only are you saved the costs of casting the two, you're also prevented from having to draw them. 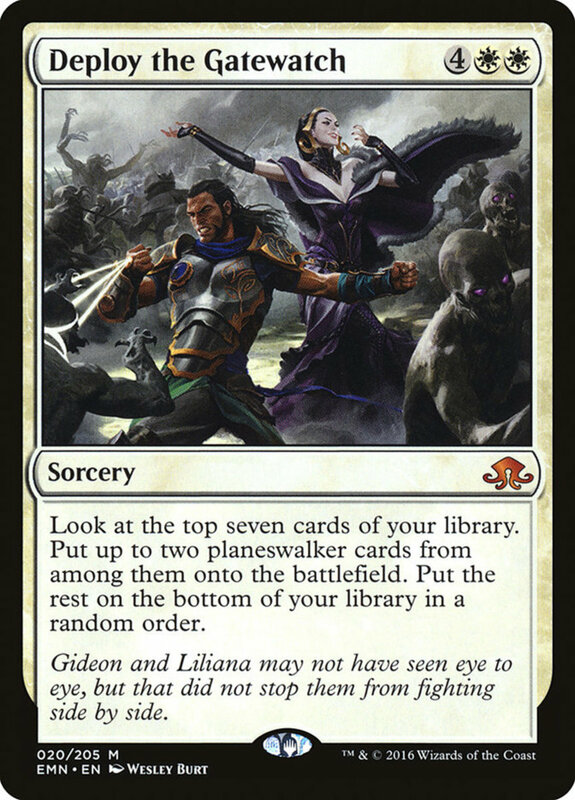 In other words, Deploy the Gatewatch essentially lets you draw two planeswalkers and cast them for free...Just ensure your deck is littered with enough for them to appear in seven cards. The islands of the blue team fuel this potent sorcery, derived from the planeswalker Tezzeret. Whilte its CMC is technically four, one of the mana can be paid for using two life, meaning you can cast it even with just three lands. Tezzeret's Gambit allows you to draw two cards, then proliferate. This means you can choose any number of permanents with a counter and add one more of the corresponding counter. Use proliferate to increase the loyalty counters of your planeswalkers, and if you have +1/+1 counters on your creatures, it's just icing on the cake. 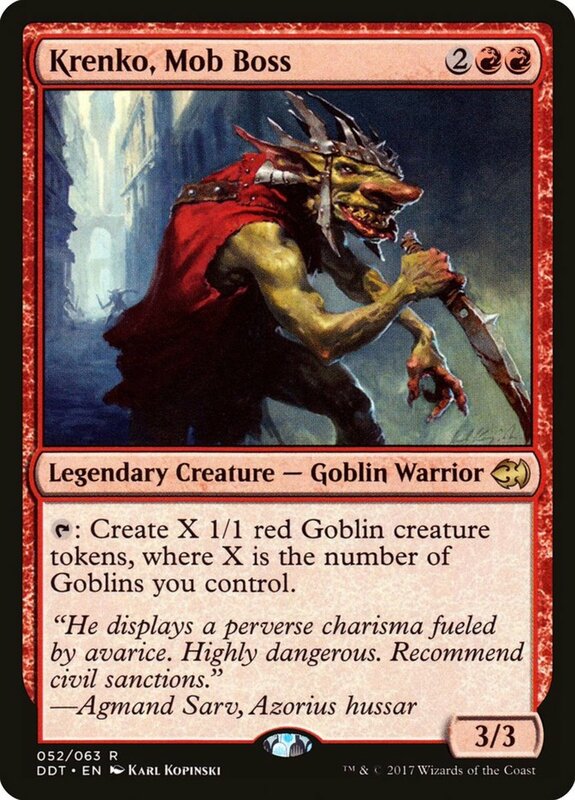 Gambit remains one of my favorite cards for any blue deck, not just planeswalkers; fortunately, it's a bargain deal, costing less than a single dollar! A legendary artifact, you'll likely have to split your usage of Chain Veil across multiple turns. Casting it requires four mana, as does tapping it to apply its effect: for each planeswalker you control, you can activate one of its abilities as though the planeswalker has not yet activated an ability this turn. 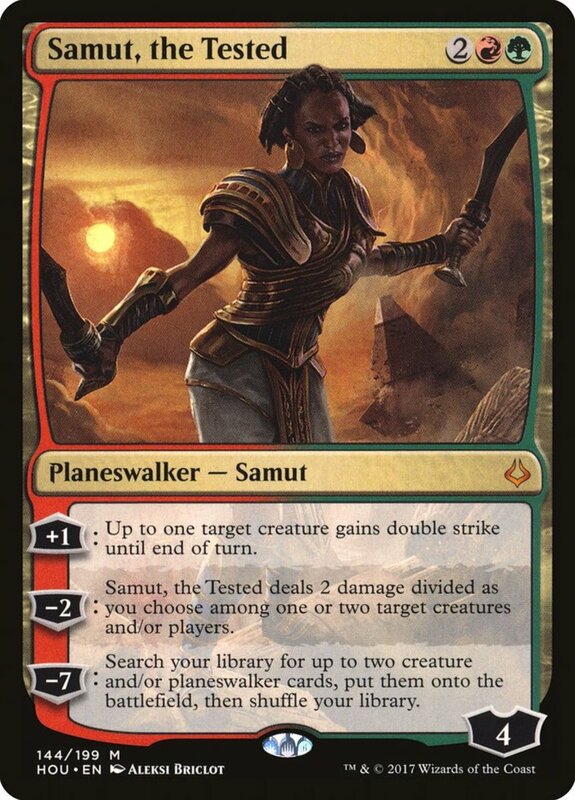 This doubles their effects and (with most planeswalkers) allows you to add more loyalty each turn! Be sure to keep your allies well-guarded; you'll lose two life at the end of your turns if you fail to use a planeswalker ability that turn. Still, Chain Veil offers spectacular powers to your mystical comrades. Atraxa, a popular leader in commander format, serves well both on its own and combined with planeswalkers. To play it, you need one of every mana color besides red, so be sure to utilize effects and lands that can provide variable mana hues (Chromatic Lantern, Birds of Paradise, and so on). 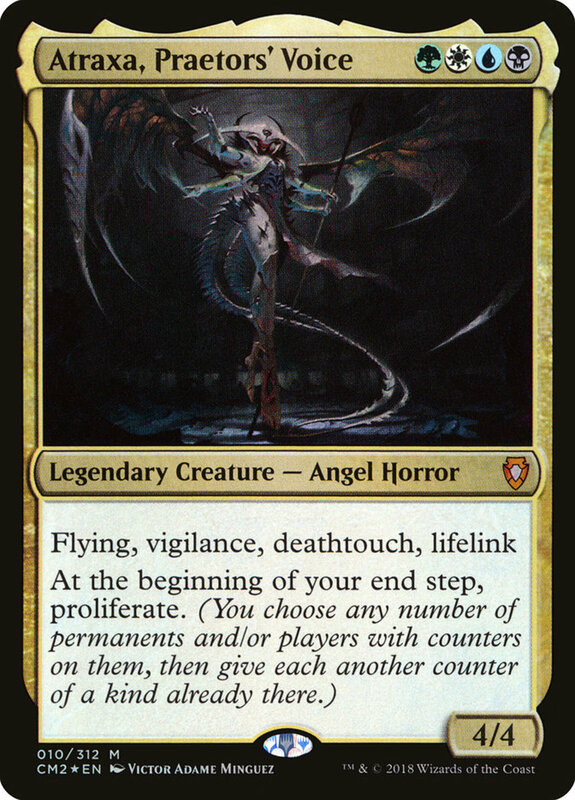 Atraxa's impressive 4/4 stats combined with flying, lifelink, deathtouch, and vigilance already justify its usage. 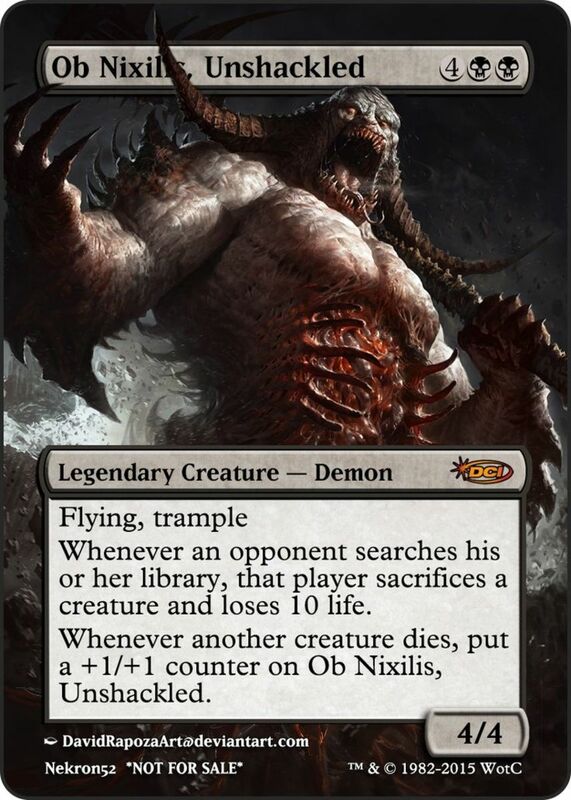 Factor in the proliferate quality, and you've got yourself a monstrous creature that nimbly assaults foes while upping the loyalty of your planeswalkers each turn. 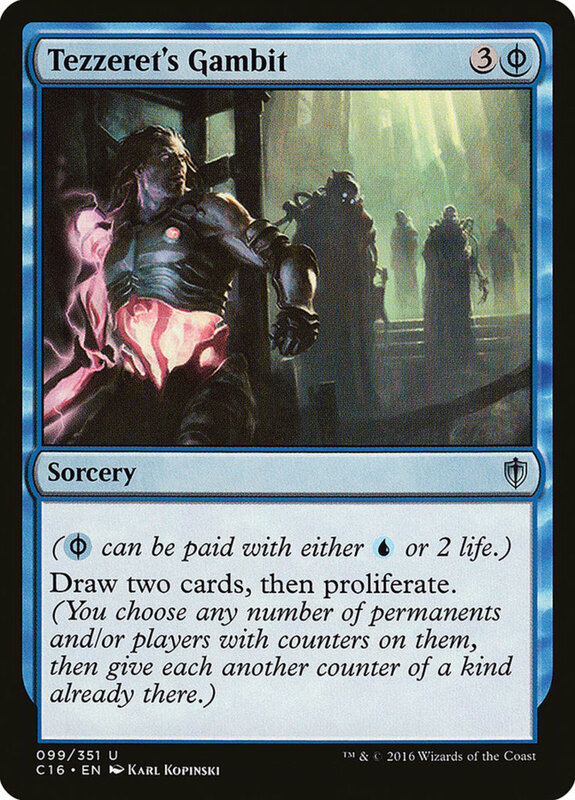 Sure, proliferate is great for gradually adding loyalty. But if you want instantly doubled loyalty counters, look no farther than this insane enchantment. Its effect two-folds the amount of counters placed on your permanents through effects; this includes planeswalkers entering the field. Once you cast Doubling and have a planeswalker in hand, your opponent likely has one turn to destroy Doubling, or they're going to lose. On your next turn, cast a planeswalker and immediately trigger the ultimate effect that would normally take you several turns to build to. An example: Jace, Unraveler of Secrets will arrive with enough loyalty to provide you an emblem that counters the first card an opponent casts each turn! Not only that, he'll survive the -8 required, living to serve you on future turns. 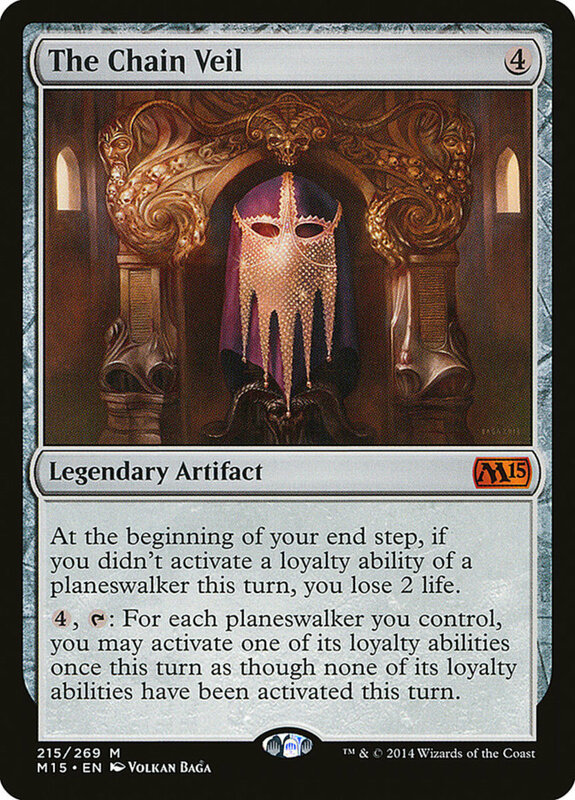 Cast this, cast a planeswalker, and kindly offer to help your opponent pay for the dry-cleaning of their undoubtedly soiled trousers. Essential for the "superfriends" commander deck (something I'm fond of myself), Doubling Season can cost you upwards of fifty dollars for a legitimate copy, so be on the lookout for holiday deals. Today's entries chain well with almost any planeswalker, but be sure to examine your deck's needs and theme to identify what kind of boosts you need. For instance, Liliana decks rely on forced discards while Chandra cards apply effect damage. But for now, as we eagerly await Wizards of the Coast's next expansion of mystical entities, vote for your favorite supporting card and check out some of the best planeswalkers here! Great suggestion! I believe Deepglow debuted a few months after this article's release, explaining its absence, but its doubling effect works wonders on both planeswalkers and any units you control with +1/+1 counters (or enemies with -1/-1). What about deepglow skate? It has a etb doubling effect which can surprise your opponents. I believe this article released before Teferi's covenant (which wasn't created until the Dominaria set). 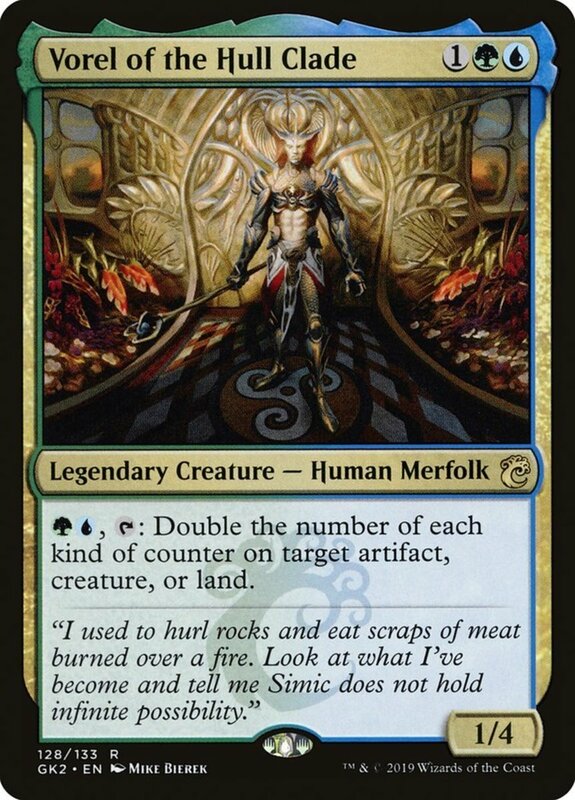 Still, Teferi wields a pricey but impressive Oath that lets you activate loyalty abilities twice per turn, definitely a great addition to this list.